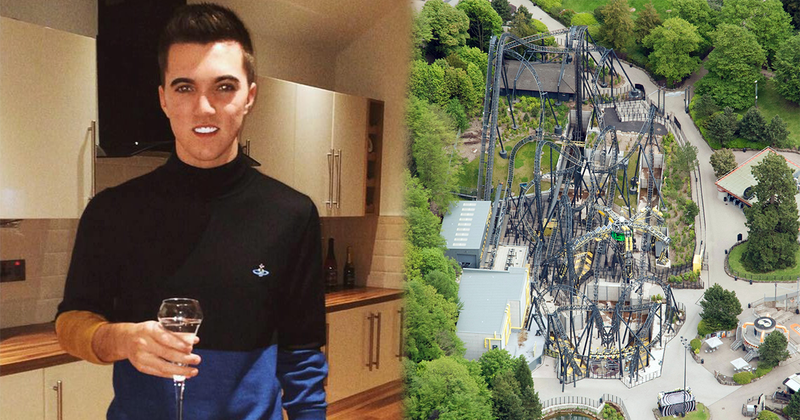 An 18-year-old fresher is among the seriously injured of the horrific Alton Towers rollercoaster crash. 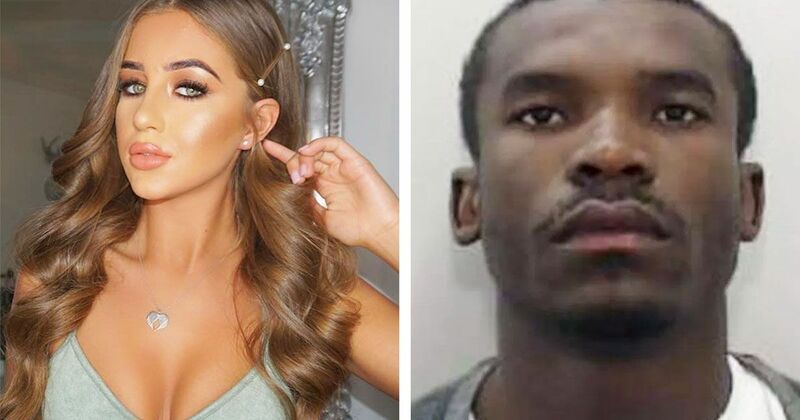 Huddersfield first year Joe Pugh and his girlfriend of a week, Leah Washington, are said to have been on their “first official date” when The Smiler when it smashed into another carriage, injuring both of them. 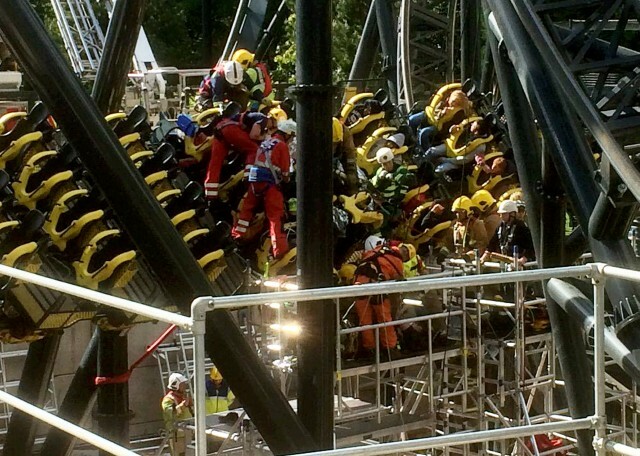 The couple were on board yesterday as four people were seriously injured in a grisly collision at the Staffordshire theme park when an empty carriage hurtled into theirs. Eyewitnesses said the screams were “like a horror movie” as 16 passengers on the doomed ride were stranded 25ft in the air at a 45 degree angle. 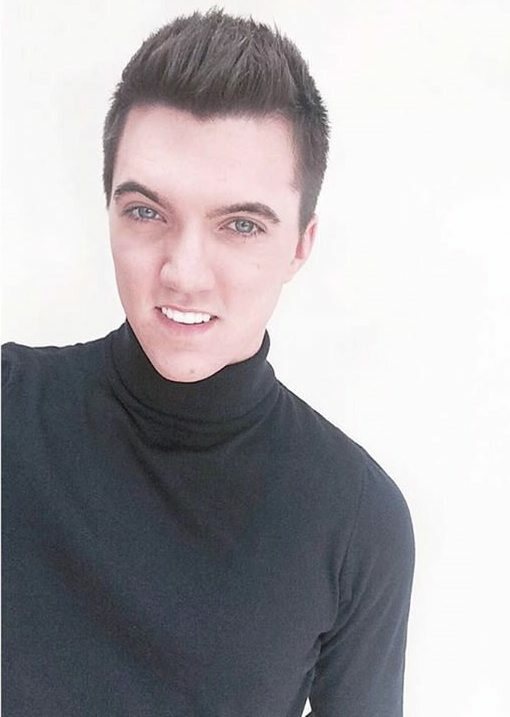 Joe, 18, does Textile Design and also works at Oaks Working Men’s Club in his home town of Barnsley, South Yorkshire. 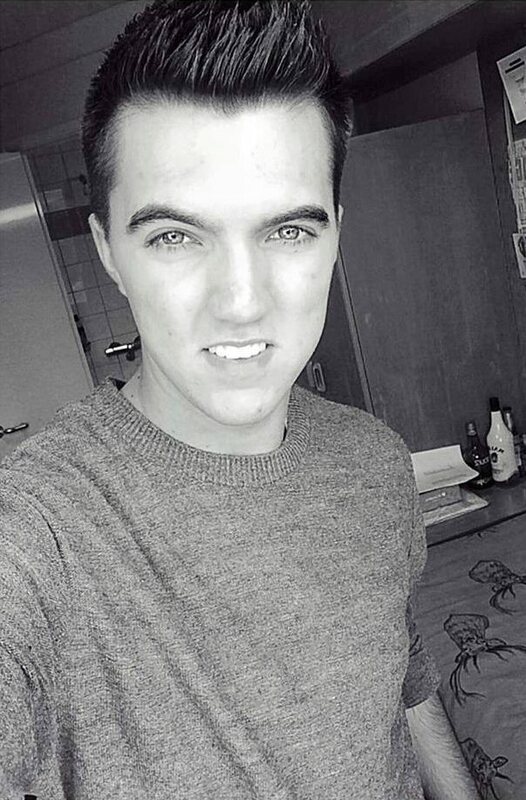 He was reportedly on the theme park ride with his girlfriend Leah, 17, when the accident happened. The extent of their injuries are not yet known. 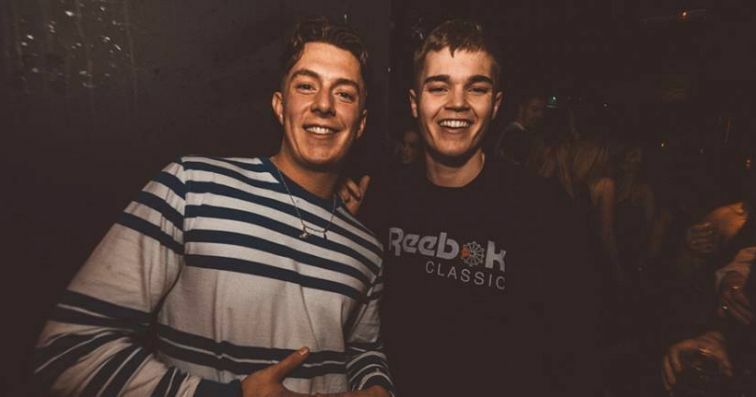 Today, the club posted on Facebook: “After hearing the news about the terrible accident at Alton Towers it has to come to our attention that a member of our staff was involved. 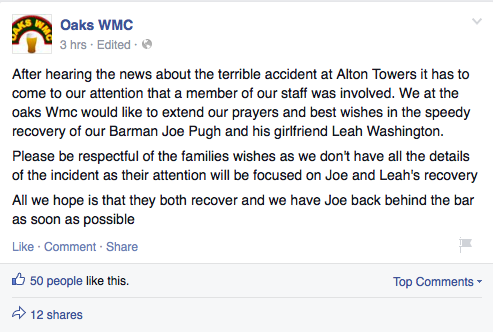 “We at the Oaks WMC would like to extend our prayers and best wishes in the speedy recovery of our Barman Joe Pugh and his girlfriend Leah Washington. 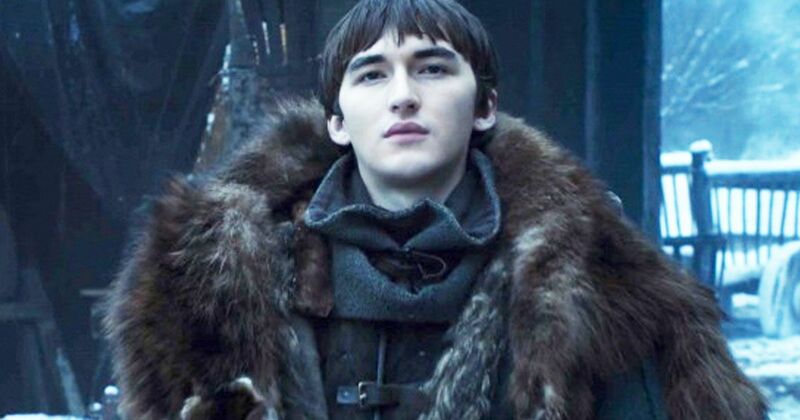 “Please be respectful of the families wishes as we don’t have all the details of the incident as their attention will be focused on Joe and Leah’s recovery. 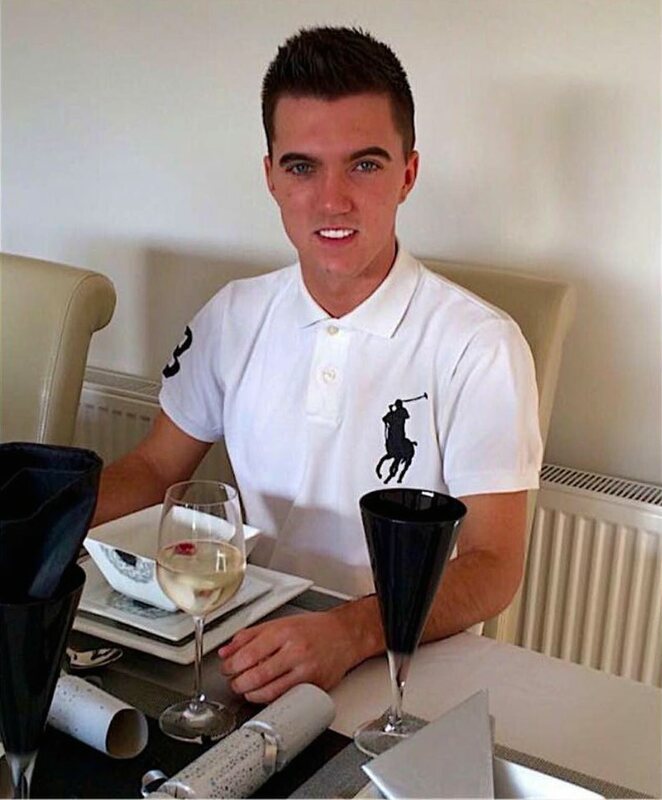 A spokesperson for Oaks WMC added: “As soon as we saw the pictures on the news we knew it was Joe. “He has a style that everybody knows. He started working here in February and he has done a lot of shifts since then. 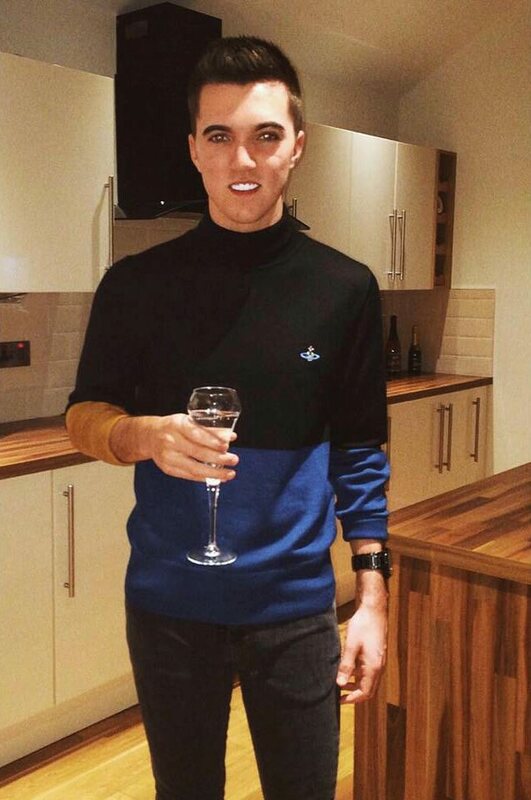 “Joe lives with his parents and commutes to university in Huddersfield. His girlfriend lives in this area too. It took more than four hours to rescue the other 12 riders trapped as firefighters built a special platform to reach the stricken carriage. A spokesperson for the the group running the Royal Stoke University Hospital confirmed two couples with serious “crush-type” lower leg injuries were freed and airlifted out. They said: “The Major Trauma Centre at Royal Stoke University Hospital received four patients yesterday from the incident at Alton Towers. Today aerial photographs show workers beginning investigations into the cause of the crash as theme park bosses closed the park. 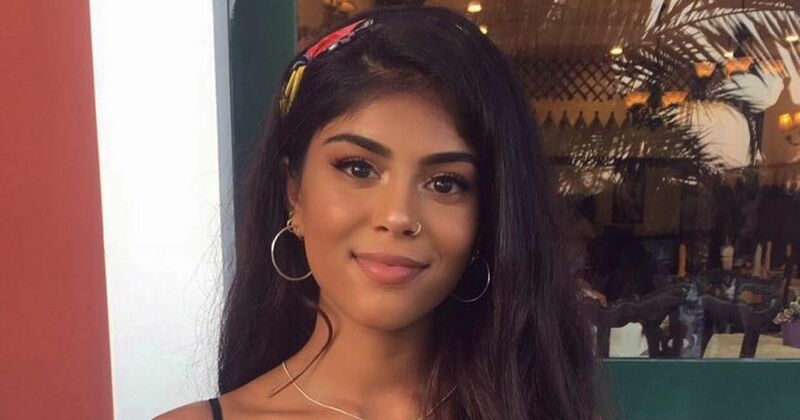 Nick Varney, chief executive of Merlin Entertainments which runs the park, said: “At this moment in time I just thought it was the right thing to do. “It was an unusual and very tragic accident. 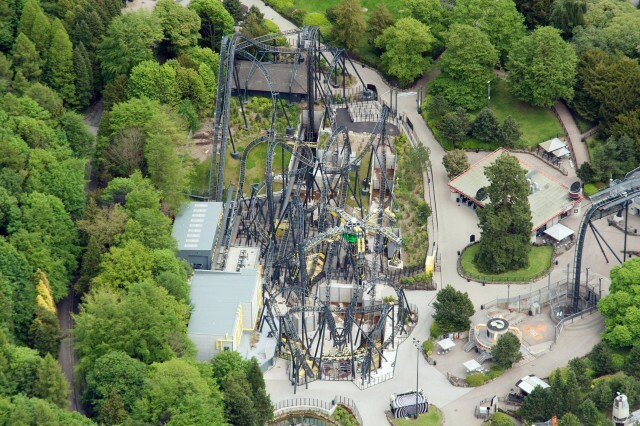 “We will take a more measured view of what was going on and whether it was specific to just The Smiler and take a view about opening Alton Towers. “I and the whole team are totally devastated by what happened. Technically that should not have happened. 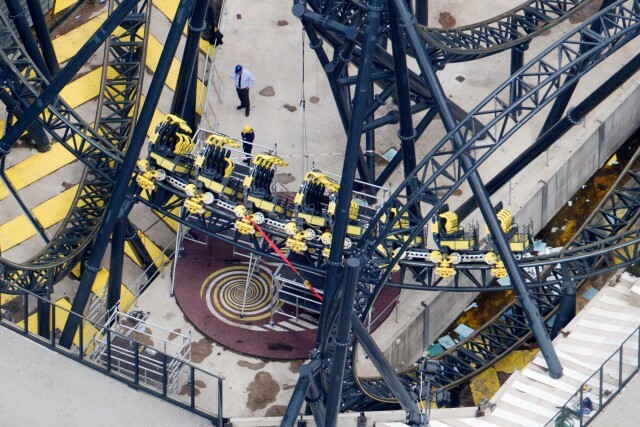 “The Smiler is a relatively new ride, all rides have teething problems when they open. 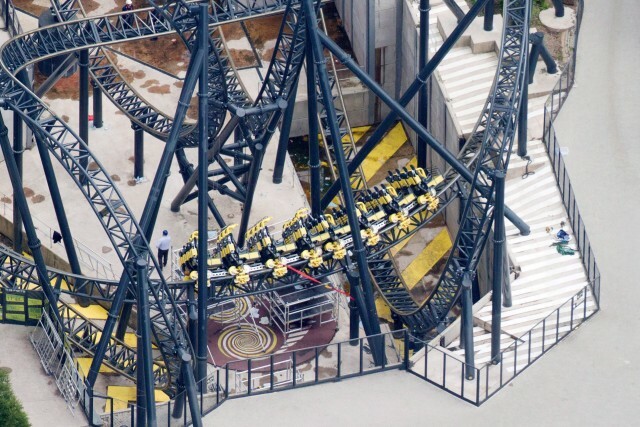 “Guest safety on those sorts of incidents is not really a major issue in the sense that when you’re on a rollercoaster car, the car can’t come off the track and you are restrained in the seats. “When you have a glitch and the ride stops, it’s not really an issue of safety to the riders. 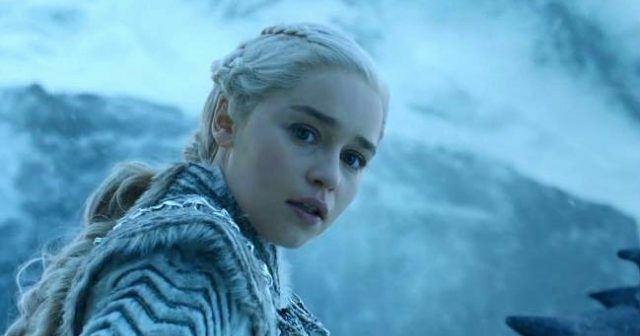 “What happened is something that there are other fail-safes for.